exposarazzi: How many times does Jennifer Garner have to tell you not to take her picture? How many times does Jennifer Garner have to tell you not to take her picture? DOES THIS LOOK LIKE SOMEONE WHO DOESN'T WANT HER CHILDREN PHOTOGRAPHED? 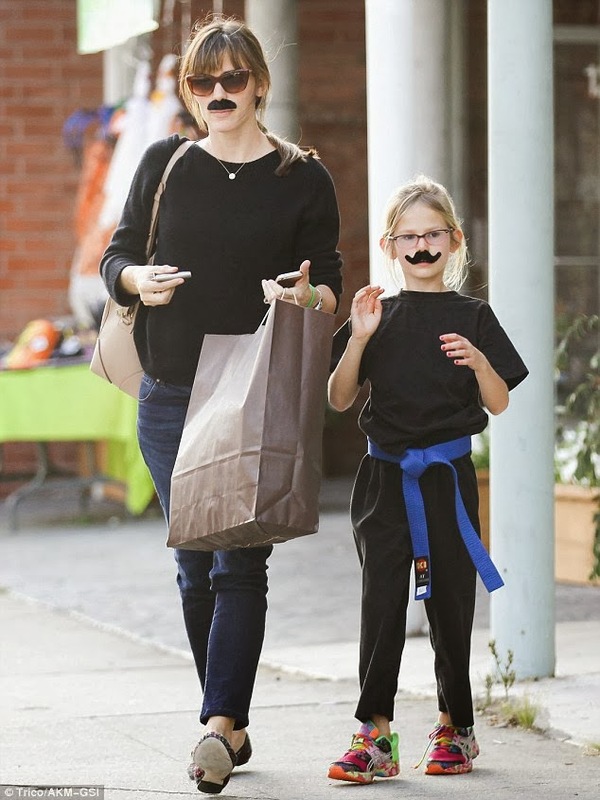 Jennifer Garner was snapped on Friday, October 25, leaving a costume shop with her daughter Violet Affleck. To us, it looks like Garner is upset that she's not getting in the magazines lately and wanted to step up her game, which ironically, has lots of shame.